Broken Tail Rescue, Inc., is operated by volunteers dedicated to the rescue of MA dogs and cats in need. We do not operate a facility; instead, all of the animals available for adoption live in our volunteers’ homes until they are adopted. This is why foster families are vital to our rescue. We can only help as many animals as we have open foster homes. While in foster care, the cats and dogs are able to assimilate themselves into a home environment and we are able to observe each animal’s character and needs and ultimately place it in an appropriate home. Fostering is sometimes a challenge, often fun, and ALWAYS rewarding! Fostering is good for you too! You will enjoy unconditional love, encounter amazing personalities, and learn a lot about animal health and behavior. Broken Tail Rescue will cover all of the expenses involved for food and medical care for your foster cat or dog. 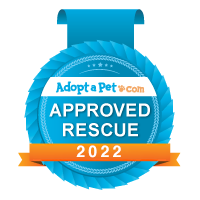 By volunteering with Broken Tail Rescue, you are playing an important role in saving the life of a dog or cat that deserves a second chance. We believe that a few people can make a huge difference in the lives of many animals and of the people who adopt them. We believe in educating the public about animal welfare and pet responsibility. If you would like to learn more about fostering, please fill out our online foster home application. Come join our PetSmart team! We have our adoptable cats at the PetSmart adoption center in Cambridge. Volunteers provide fresh food and water, scoop litter, clean, and play with the cats in the adoption center. Opportunities are available during the day and in the evenings. All volunteers in the PetSmart Adoption centers must be 18 years or older. Help transport! We need volunteers to drop off and/or pick up the pets going to the vet for spay and neuter. We are looking for volunteers who can drive in the Worcester area and Boston area. Help at events! We can always use extra helping hands at fundraising events and meet and greet events. Photograph! Handy with a camera? We have lots of pets needing some nice photos to help get them adopted. If you are interested in volunteering, please submit an volunteer application.